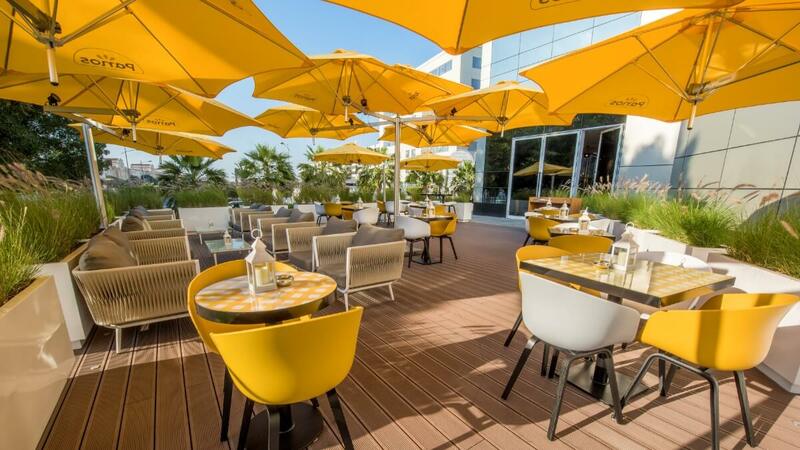 The Umbrosa brand is known the world over as a leader in shade innovation with designs that are a testament to quality, versatility and durability. 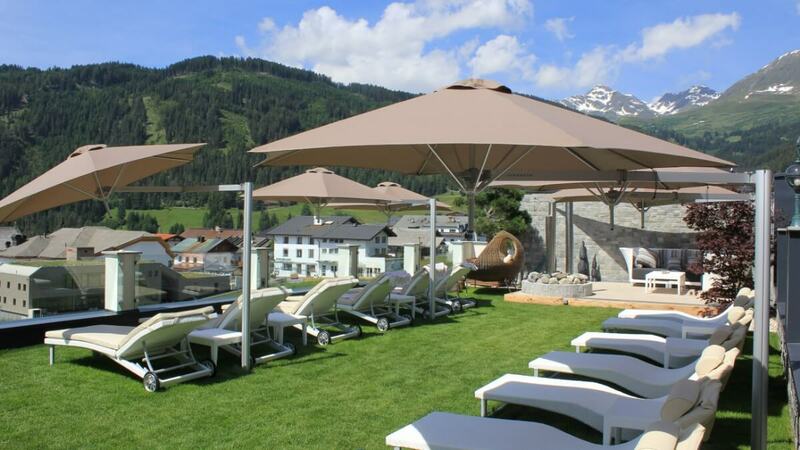 Umbrosa umbrellas are as much a work of art as they are functional shade and wind protection solutions. Umbrosa is operated by Christophe Haemers and Peter Leleu. Christophe brings experienced business acumen to the team whilst Peter has an eye for design. Bundl – based out of Antwerp, this team has worked with some of the worlds largest companies to create inspiring products and companies. NG Design – founded by architects Nicolas Verraver and Gauthier Desplanque, these Belgian architects-come-designers breathe life into their designs with a love for everything that combines beauty and function. Dirk Wynants – for Dirk, contemporary design is more than a matter of trendy or attractive objects. Design is about innovative solutions that contribute to making a better world. Tore Bleuzé – operating under the name Obi-One, Tore is an industrial designer with an open mind for different ideas. He operates in a range of sectors, bringing a different perspective to the design process. different perspective to the design process. 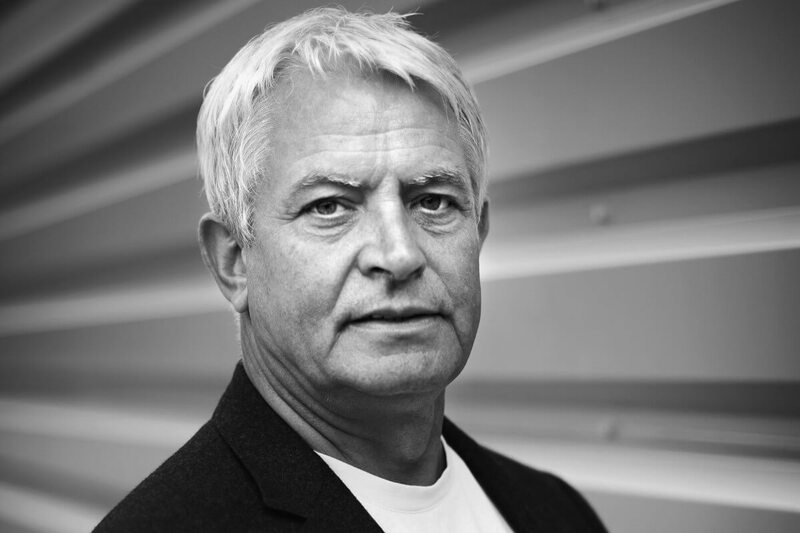 Pieter Willemyns – responsible for the design and product development at Umbrosa, Pieter aspires to make shade like nobody has ever done before. Peter Leleu – the mastermind behind Umbrosa, Peter has been a cornerstone of the team from day one. He is now the sales manager for Umbrosa. By working in a small, tight-knit team, Umbrosa is able to operate in a nimble manner without sacrificing attention to detail. Crafted only with the finest materials, including anodized aluminium and UV-resistant fabrics, and state-of-the-art manufacturing technology, Umbrosa umbrellas are designed to perform for years to come. Since Umbrosa’s launch more than two decades ago, the company has gone from strength to strength, continually pushing the boundaries of what’s possible in shade solutions, and producing an ever-evolving range of luxurious pieces that demand attention. Here at Design Concepts, we love the Umbrosa aesthetic and their commitment to working with world-renowned designers to create beautiful, elegant shade solutions. 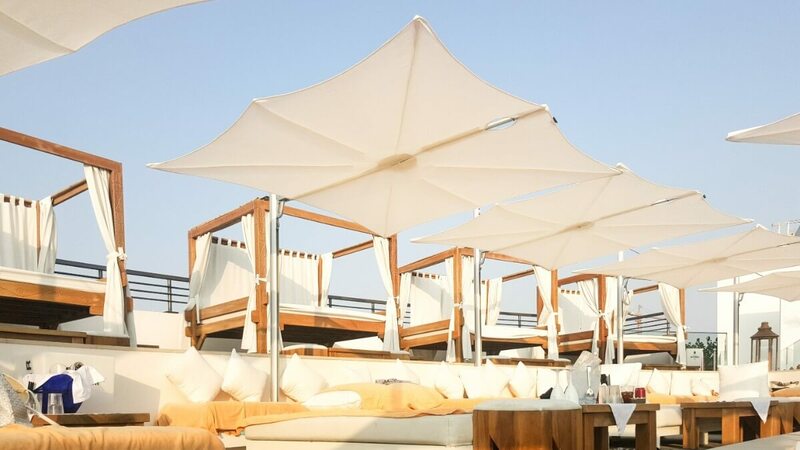 Favoured by luxurious hospitality providers and exclusive resorts and restaurants the world over, there is a reason Umbrosa umbrellas are well known. Combining beauty and form, they’re versatile, functional works of art. 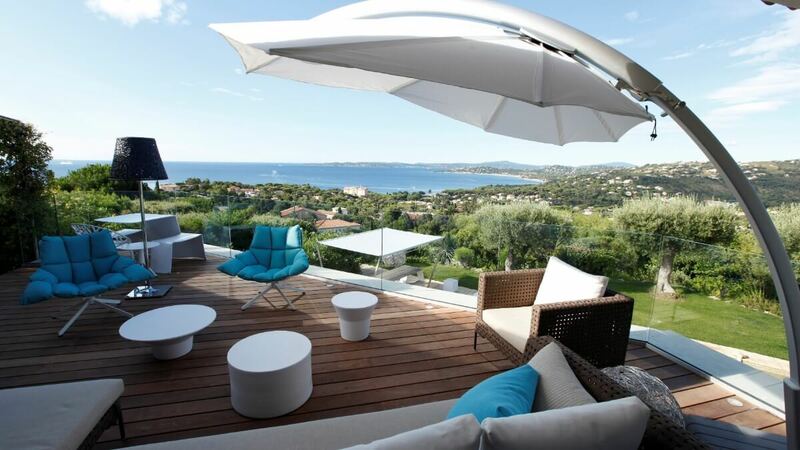 With the extensive range of models and colours now available, as well as the ability to choose either freestanding or wall-mounted options, Umbrosa umbrellas are suitable for almost any alfresco setting, allowing you to add an element of luxury to your home. A bold statement, the circularity of the eye-catching ring-shaped form and elegant shade sail create an artistic shade solution. 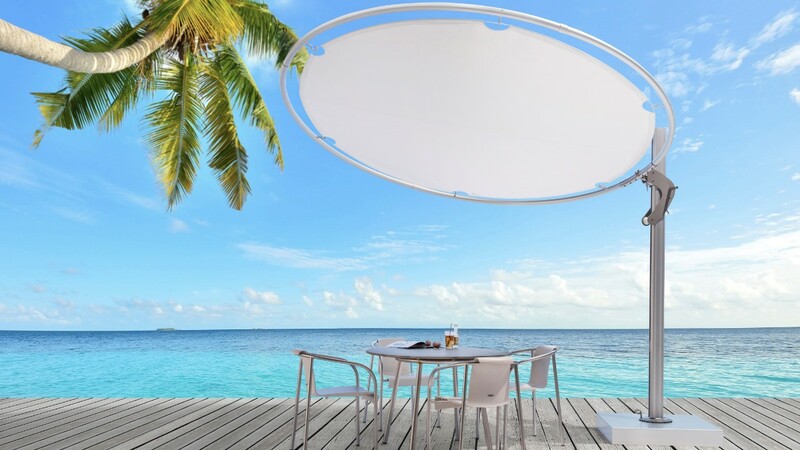 With 360-degree rotation, 19 colour canopy options and a three-metre canopy diameter, the Eclipsum is a beautiful addition to any outdoor setting.Click here to find out more. Perfect for terraces and areas with limited space, this shade is fully tiltable and can be used in a range of different configurations. It has been wind tunnel tested to speeds over 90kph! Click here to find out more. The Paraflex umbrella can be wall-mounted or mast-mounted and comes in a variety of sizes for every setting. This was the first umbrella concept that Peter Leleu invented. Click here to find out more. Beautiful simplicity. The Icarus shade blends elements of nature with durable construction to provide an elegant umbrella. Click here to find out more. We are the official Umbrosa distributor for New Zealand. If you would like a specific type of umbrella, or a special customization, we can work with you to provide a solution that meets your unique requirements. Feel free to visit our showroom in Takapuna or contact us for more information.